Today is Thursday, December 24, 2015, a few hours before Noche Buena or christmas eve. And I'm sure not all of us are waiting conveniently at their home. Some of us are still traveling and use the country's public train systems. 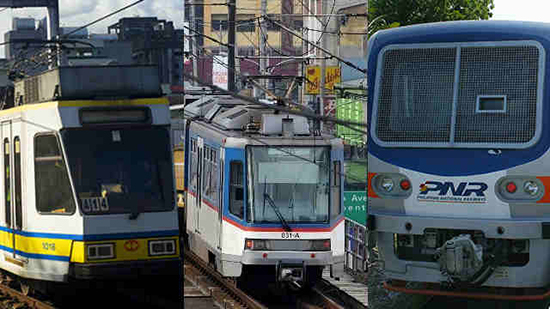 GoodFilipino wants to help you to know what is the schedules of the MRT, LRT & PNR particularly on December 24 and 31. MRT officials said, The proposed holiday schedule is still pending for approval at the general manager's office. According to Rappler, Liberal Party for vice president bet Leni Robredo said the government should extend the operating hours of LRT 1, LRT2, and MRT 3 and added that the elevated mass railway transit systems can help a lot in easing the commute of shoppers and those travelers this Christmas. Comments or suggestions about "Christmas schedules 2015 for MRT, LRT, & PNR" is important to us, you may share it by using the comment box below.